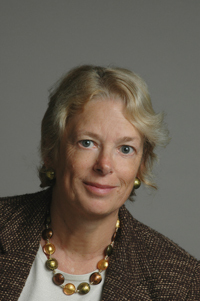 Pamela Samuelson is recognized as a pioneer in digital copyright law, intellectual property, cyberlaw and information policy. She has written and spoken extensively about the challenges that new information technologies are posing for public policy and traditional legal regimes. Since 1996, she has held a joint appointment with the Berkeley Law School and the School of Information. She is the director of the Berkeley Center for Law & Technology, serves on the board of directors of the Electronic Frontier Foundation and the Electronic Privacy Information Center, and on advisory boards for the Public Knowledge, and the Berkeley Center for New Media. She is also an advisor for the Samuelson Law, Technology and Public Policy Clinic. Since 2002, she has also been an honorary professor at the University of Amsterdam. This column explains why Judge Chin disapproved the GBS settlement and why the fair use issue may not be decided by the courts. It discusses the possibility of a new settlement and of legislation as alternatives. Pamela Samuelson discusses "Legislative Alternatives to the Google Book Settlement", her new article in the Columbia Journal of Law & the Arts. Samuelson discusses the settlement, which was ultimately rejected, and highlights what she deems to be positive aspects. One aspect includes making out-of-print works available to a broad audience while keeping transaction costs low. Samuelson suggests encompassing these aspects into legislative reform. The goal of such reform would strike a balance that benefits rights holders, as well as the general public, while generating competition through implementation of a licensing scheme..
Pamela Samuelson provides an overview of "Legislative Alternatives to the Google Book Settlement", her new article in the Columbia Journal of Law & the Arts. Now that the court has disapproved the Google Book settlement, it is time to consider the component elements of a legislative package that would achieve most of the social benefits that would have flowed from approval of the settlement without the social harms that the settlement would have brought about. This article is principally focused on how to enable the creation of a digital library of out-of-print books that could be made available to the public on reasonable terms. Certain features of U.S. law, particularly copyright law, contributed to Google's willingness to undertake the Google Book Search (GBS) project in the first place and later to its motivation to settle the lawsuit charging Google with copyright infringement for scanning in-copyright books. Approval of this settlement would have achieved several copyright reforms that Congress might find difficult to accomplish, some of which would be in the public interest. The Article considers whether the quasi-legislative nature of the GBS settlement was merely an interesting side effect of the agreement or a reason in favor of or against approval of this settlement. More than a year after the Google Book Settlement fairness hearing, Judge Chin ruled that the settlement was not fair and could not be approved. This talk will explain why I think the failure of this settlement was inevitable. It will also discuss the options available after the failure of the settlement and why some of these options are more likely or desirable than others. The Book Search agreement under consideration is not really a settlement of a dispute over whether scanning books to index them is fair use. It is a massive restructuring of the book industry's future without meaningful government oversight. The market for digitized orphan books could be competitive, but will not be if this settlement is approved in its current form without modification.